Last month, OHPI registered a big win when after 5 months of campaigning Facebook finally closed an Aboriginal Memes page permanently. It took numerous reports by OHPI and its supporters, and an article in The Age to get the company to follow its own community standards. The page “Aboriginal Humour” (ID # 327442417394528) was created on December 24, 2013. 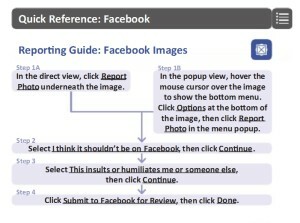 Over the last few weeks OHPI reported the page to Facebook a number of times, and Facebook rejected each of those reports. On August 18th 2014 we released a briefing about the page, drawing public attention to it and calling on our supporters to help report it. 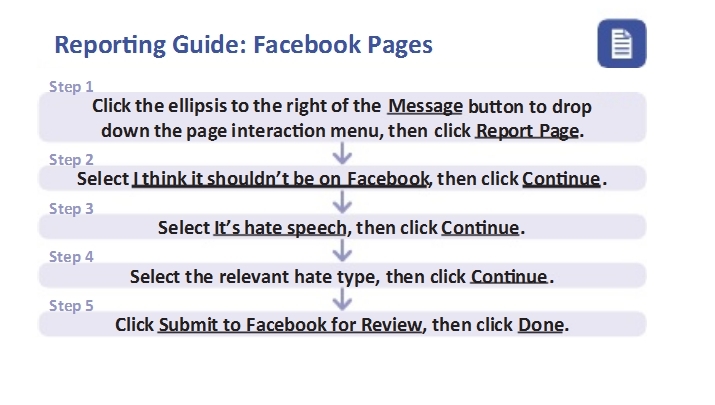 This time Facebook did the right thing and closed the page (permanently) within 24 hours of OHPI’s briefing being released. This is a sign we’re making real progress. 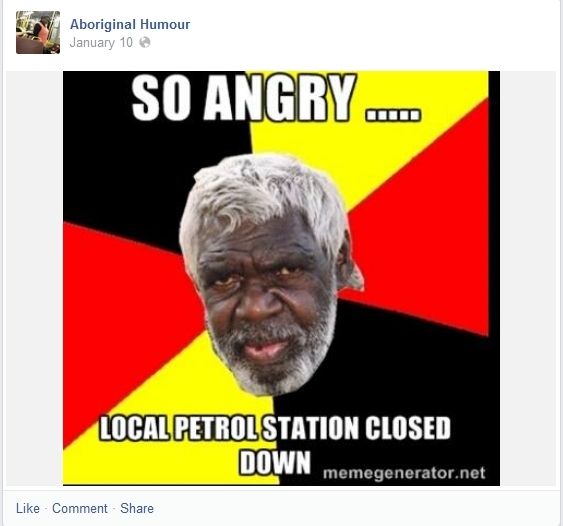 We hope future Aboriginal Memes pages will be permanently closed within a short period of time after people first report them (and without the need for OHPI to produce briefings). When that starts to happen we will know the system is working properly at Facebook, at least in regards to this type of blatant racism. Some may argue that the page has only 2 likes and few posts, so why bother. 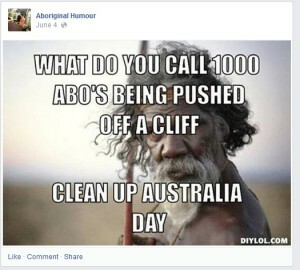 However, once Facebook has decided that Aboriginal Memes do not meet its community standards, the popularity of the content or the page becomes immaterial. 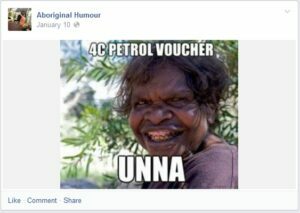 Having it sends a signal that this sort of content is acceptable in society. 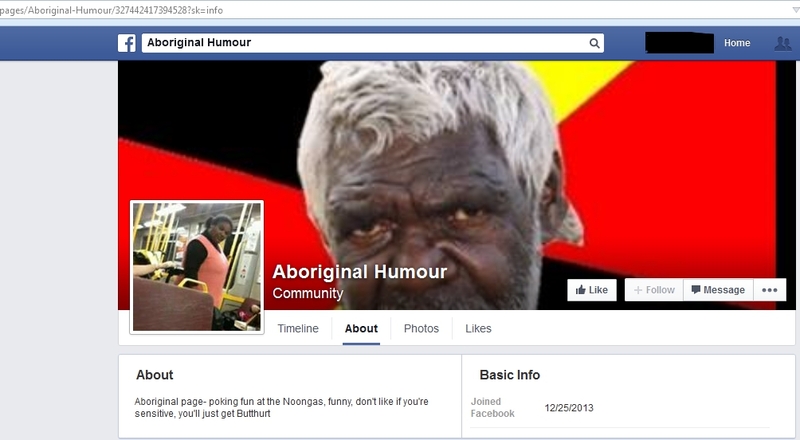 It isn’t and racist pages like this should be closed under Facebook’s Community Standards. 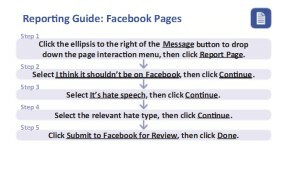 Here are some examples of the page’s content. The image could be reported here. 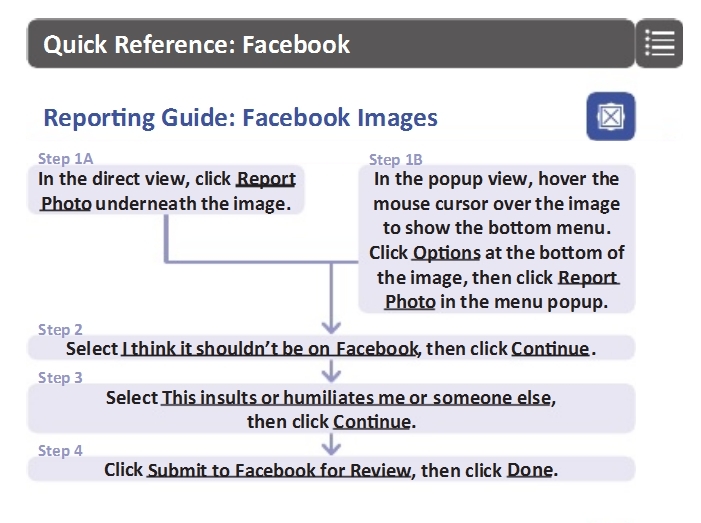 Further assistance with reporting on Facebook was also provided via our detailed step-by-step guide to reporting on Facebook.